We chatted with Joseph Ferrugio about why he loved working on his most recent James Bond-inspired project, how he defines his personal style, and his one essential design tip. 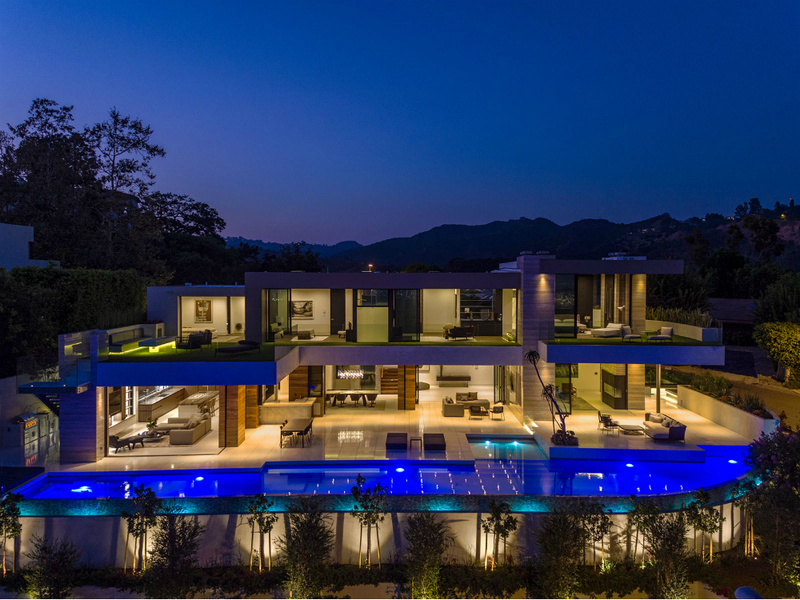 Taking on a multi-million dollar project seems like everyday business for interior designer Joseph Ferrugio, especially when it’s a 23,000 square foot home in Beverly Hills that sold for $70 million to Minecraft creator Markus Persson. These days, he’s definitely not taking it easy as he recently wrapped up working on a property likened to what perhaps “James Bond’s house would look like if he went rogue” in Beverly Hills, at 1251 Shadow Hill Road, which is currently on the market. Tell me a little about your most recent project at 1251 Shadow Hill Road. What did you love about working on this property? JOSEPH FERRUGIO: What was really great was that the developer came to me… they basically were like, you do you. I guess now people are starting to say, we want your style or the look that you’re doing. It was nice for the developer to say—we appreciate your style, we want you to come in here and give us the Ferrugio look. Were you like a kid in a candy store? JF: Yea, and then reality does set in. They do have budgets. Like even at this level, they still don’t want to spend everything. But we definitely get to have fun with pushing the envelope like asking questions, what is a bar? Why does a bar have to look like this? Why can’t it look like that? This James Bond-inspired abode in now on the market in Beverly Hills. JF: For Ferrugio Design, I feel that the reason people are coming to us is to get a very modern, forward-thinking unique approach to the built-in environment. So, they’re looking to us for innovative materials. If I had to pinpoint a word, I would say—sleekness. And again, one-of-a-kind because of the way we combine our materials. I live with a little saying on my desk that says, “Expect the Unexpected.” So I always try to figure out how can I make this an unexpected thing and try to always let that propel my design thought. What is your essential design tip when you’re first assessing a project or even something as simple as a room? JF: Okay, design tip—reduce clutter. Stay neutral. Stay classic. And then have fun with details. Bring in your color in the detail. Bring in your culture in the details. Don’t go full stream with the space being too cluttered. People think that they’ve got to put everything that they have out for display because they’re proud of it. But what happens is that you lose the importance of those objects if everything is out. People think that there’s all these rules, you know, it’s really about simplifying everything that’s around you. Everybody does it. But the ones that are successful at having a really nice space that feels good are the ones who know how to edit their life.